A collection of lost poems, recently discovered in Neruda's archive. The book also features photographs of handwritten drafts — including one that was scribbled on a menu — and detailed notes about how the pieces, discovered by archivists cataloguing Neruda’s papers, relate to the poet’s established work. These documents, along with the poems (some of them fragments), translated by Forrest Gander, provide insights into the writing and its familiar themes — love, poetry and the strength and beauty of the people and landscape of Neruda’s native Chile. 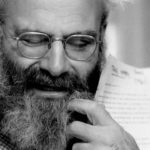 The book — made possible in part by a Kickstarter campaign by its nonprofit publisher — provides new glimpses of the poet, who died in 1973. ...gorgeous...Neruda writes of astronauts, his wife’s ear, a marriage that grew out of a magazine interview. He rants against the telephone; he rhapsodizes about the Andes; he still writes of love. Luckily for us all, cynicism and skepticism prove to have been the wrong models for considering Then Come Back: The Lost Neruda. 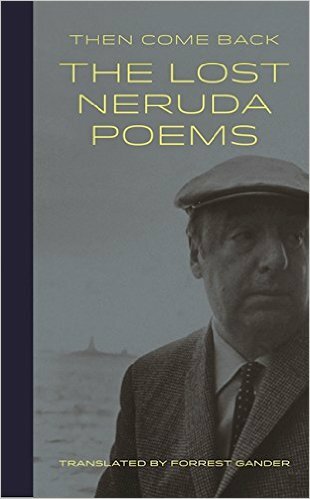 The majority of the apparently complete works included in the book are as good as Neruda poems can be, and exactly five are true shining gifts to the world. That's saying something. Having five of 21 poems be good is about the same as liking three songs on an album: a rare accomplishment. Additionally, and to the cultural materialist's delight, many of these poems were scribbled out (in green pen, which I find affecting for some strange reason) on scrap paper, napkins, playbills, and other ephemera. Ogling the full-color scans of the original material reproduced in the book feels as if you're discovering the poems along with the archivists. What did you think of Then Come Back: The Lost Neruda Poems?